The Opportunities Party’s (TOP), Gareth Morgan, is backing a fresh face to lead the party over its former leader and one of its key policy writers, Geoff Simmons. Morgan says he’s voting for Amy Stevens in the party’s leadership election and is willing to put his money where his mouth is. 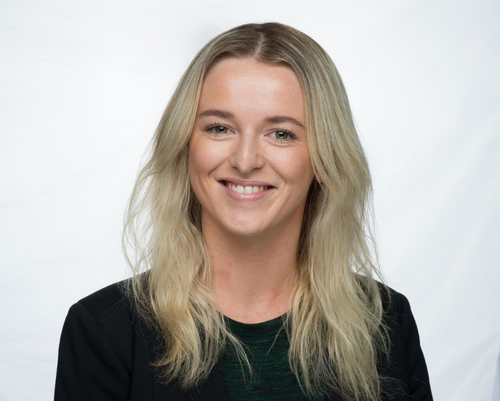 Stevens is an Auckland-based lawyer in her mid-20s who works in a team at ASB that focuses on servicing customers who want to buy houses in pairs or groups. She previously worked as a foreign exchange dealer at the bank. Speaking to interest.co.nz, Morgan says he’ll “totally” alter the amount he donates to the party based on who’s in its leadership team. He wouldn’t say how much he’d donate if Stevens was elected versus Simmons, but says it comes down to the whole package of people playing key roles in the party. “The less enthusiastic I am about the prospects of success, then the less I’m going to fund it… If I get excited by it, I’ll put more money in it,” he says. Pokere-Phillips is a lawyer who consults for corporates and Maori entities on environmental and natural resource management issues. Morgan says: “The whole [funding] package is dependent on chances of success – moving forward from our 2.5%. We’ve got to do that. Morgan contributed over $3 million to the party in the last election. In a Facebook post, explaining his support for Stevens, he credits her for her good grasp of TOP’s policies and philosophies. Morgan then goes on to put the boot into another candidate running in TOP's election, Jessica Hammond, who’s involved in a new group with Jenny Condie – the former TOP candidate Morgan called a "pain in the arse". “I think Amy can lead a fresh approach to marketing the essence of TOP, one that doesn’t let itself get usurped by the identity politics we saw from the Jenny-come-latelys from Karori in 2017, those ladies who spewed their venom when TOP refused to bow to their agenda and went on to reveal their naked self-promotion by slagging our efforts and forming Civic. Simmons doesn’t appear offended by Morgan’s comments. He says Stevens is a worthy candidate and welcomes a real contest. He does however point out the party is going to have to attract funding from a broader range of donors. TOP members will be able to vote for a leader from December 1 to December 8, when the winner will be announced. Wasted vote. TOP will steal a few votes from Greens and Labour, but won’t get to 5%. Nope. The boat example was given by the leader of TOP, Geoff Simmons, in an interview with Jenée Tibshraeny when explaining their policy. Recreational boats to be taxed based on the imputed (imaginary) income that their owners are earning from them. And not just once - the boat is taxed year after year as long as the owner has it. A tax on enjoyment. I wonder what other fun things they will extend this tax to cover? Dildos could be the next item, will also keep Stephen Joyce safe in public. If boats are taxed according to how much they benefit you financially, wouldn't it likely end up being a tax credit? You’d think so, but TOP’s policy is to tax the income that the boat would be earning you if you were to use it to generate a return. They tax the imputed (imaginary) income, even though the reality is that boats are money pits. So for example, you have a boat that you use recreationally on weekends and don’t generate income from. TOP pretends that you use it as a charter boat and generate profit of say 10% per year. They then tax you say 30% of that 10% pretend profit every year. It’s nuts - most TOP supporters don’t even know this. They just like the sound of universal basic income. If that’s true that TOP propose taxing your family boat after you have already paid income tax on your earnings to buy the boat and withholding tax on your savings account saving for the boat purchase and then 15% GST on the purchase of the boat and now Gareth Morgan or his TOP propose taxing again on actually having a boat ? My family had a hobby building few yachts over the years Would TOP tax them the same way ? Could TOP drive past my place and see the ARC welding flashes from the gaps around my garage door, see that i'm near a river and send me a tax bill because I could be building a boat? So its not that TOP is un-worthy its that its a waste due to the archaic, arbitrary and excessive 5% rule. I mean with 120MPs its arguable to that once past enough % of the vote for 1 MP a party should get an MP, 5% was put there to nobble new starts and needs reduction. Funny but obviously you have no clue on finance, your last para displays this. "imaginary income" I'm sure if you tried that one with IRD you would do well. Of course TOP wont attract those whose pockets are presently lined with tax free gains, that was expected. There just needs to be enough of the dis-enfranchised to matter. I'll agree on the Green's losing to them, I am one such, others of similar outlook seem to be of a similar disposition. If Morgan's hiring of Sean Plunket taught us anything it's that he's got extremely poor judgement of character. Unless he can get out of the way this is just another train wreck in the making. Will make great reality TV though. Nah I reckon her elbows are too pointy. Sounds like a betrayal of Geoff Simmons, and Gareth Morgan continuing his career as puppet-master. If he really wanted TOP to succeed he would shut up. Do we really need another ex-currency trader? What did John Key accomplish? I'm sure there are some unkind things that could be said about lipstick and pigs in response to this appointment. There is a video of Amy and she is a lawyer (so automatically disqualified) but despite this a very awkward speaker. Geoff Simmons is miles better. But the problem with TOP is the policies are rubbish. Hard to know who they would appeal to. They should have taken on the housing issue and championed the removal of planning restrictions, cut all the rubbish in the building act and attacked the monopolies. Oh you mean a second ACT, well we can see how well they are doing 0.4% v 2.5%, yeah great idea. Maybe top would be better of without Morgan, especially using his money to get his way . Mid 20's - mmm, lot of life experience there! I think we have enough of naive do gooders in parliament now, don't we? As opposed self serving and bribe taking MPs and parties? I'll take the do gooder rather than the prostitute thanks. Why is TOP even having elections this week? It’s a vanity project promoted by interim political leader Geoff Simmons so he can feel good about accepting the invitation from the Board. Some of us advised against it, noted the election violates the constitution anyway (as TOP’s Board has now formally at last acknowledged). But give a dog a bone. What TOP is really looking for is a set of complementary skills. Geoff & I have the policy detail sorted; Geoff can communicate well to the urban Millenial liberal set (mainly the kids of Labourites), while I'll handle Babyboomers who've done bloody well milking an unfair tax regime, and boy do we know it. But we need someone with a good legal background (for example understanding what the Party constitution permits and doesn't would be a great start). But importantly what Amy Stevens offers is a business background not one as a public servant she can relate to all those small business owners who are as familiar with the trials and tribulations of running a business. This is where NZ's wealth is created and we want better connections to this sector. I see this very much as like building a business with a team of complementary skills. It's not about trying to be popular with members it's about what can you bring to the table. But the decision has been made - quite erroneously IMO that we can do this via a popularity election. That's water under the bridge now and so we have to make the most of it. But members, if you don't vote with that in mind you're really just condemning TOP to be yet another party of travellers with the same sociopolitical DNA, a party of folk genuflecting each other’s commonality - peas in a pod of political parallelism. That's not the diversity we need, it's a genus of political eunuchs. We must have TOP as a party to transform NZ for the benefit of ALL New Zealanders, that’s why policy is so important and that’s why our senior leadership team must have complementary skills, not be facsimiles of each other. Popularity contests are precisely not the way to form a competent leadership team. My advice to you with this week's poorly conceived polls is CARE, THINK, VOTE. If you want to do something useful, initiate a citizens referendum on the MMP threshold. Its completely undemocratic to have any threshold at all except that derived from 1/number of seats. It's the only way for NZ politics to innovate & allow small parties to grow. The potential excess power of small parties can be dealt with coalition agreements, and eventually requiring all government spending to go through publicly disclosed business case assessments - at least the pork barrels can then be seen. Let's get back to the policies. Of course the advantaged people in New Zealand (and I am in that group) will dislike TOP's policies because we will have to pay our fair share of the tax take (remember that TOP's policy is not about taxing more, just adjusting the load more fairly). If we don't go down this track, financial advantage will mean nothing because we won't have a society we wish to live in. The warning signs are smacking us in the face already. A greater equality between the haves and have nots will advantage us all in terms of our quality of life.